Annette Kuhn is Professor of Film Studies at Lancaster University, UK, and an editor of the journal Screen. She has written about photographs in The Power of the Image: Essays on Representation and Sexuality (1985) and Family Secrets: Acts of Memory and Imagination (1995). Her most recent book is An Everyday Magic: Cinema and Cultural Memory (2002). Kirsten Emiko McAllister is an Assistant Professor of Communication at Simon Fraser University in Canada. 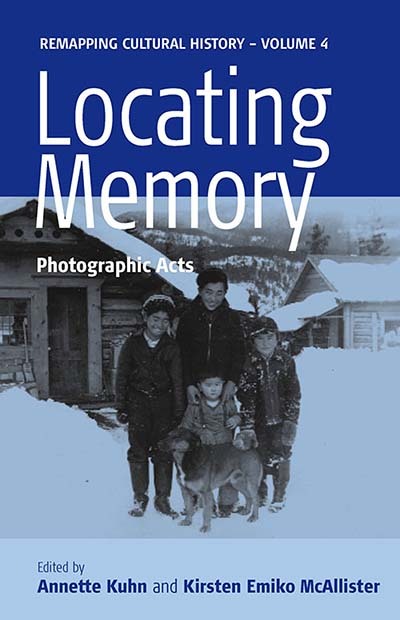 She has written about photographs, visual culture and museum artifacts in West Coast Line, CineAction and Cultural Values, and is currently writing a book on a memorial that marks the site of a World War II Japanese-Canadian internment camp.